Coles Barton LLP was founded in 2009 by two lawyers – Matthew Coles and Thomas Barton. With twenty years of experience at a commercial law firm, they decided to open up their own practice to better serve their clients. They purchased their two-story building on 150 South Perry Street in 2011, and they leased out the office space on the second floor to several other lawyers and law firms. 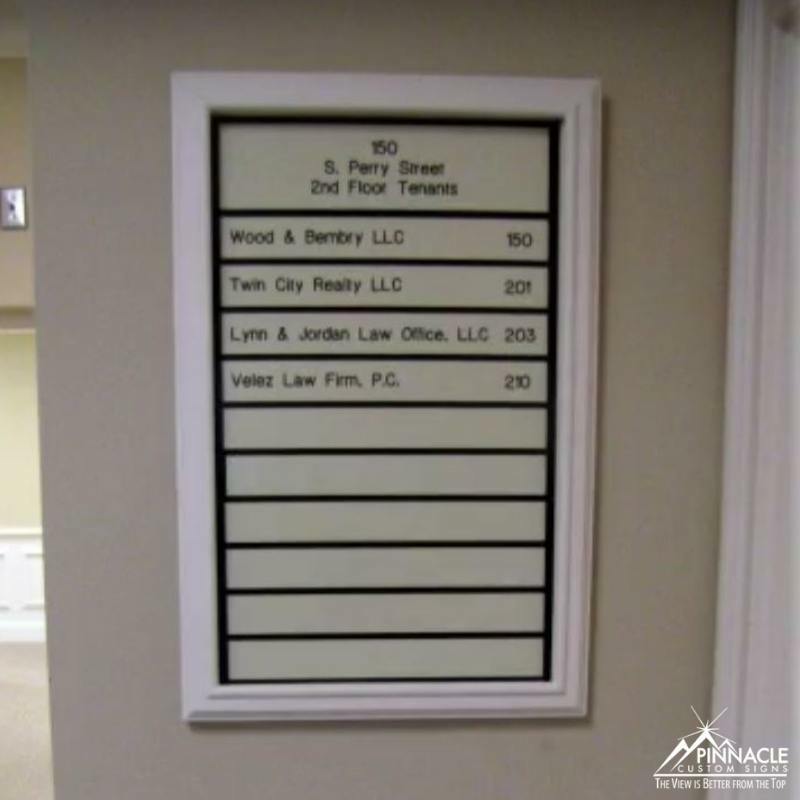 In 2013, they contacted us to discuss new law office signs for their location. Visitors were having a hard time identifying where the other law offices were located; they would walk into the lobby of Coles Barton LLP and ask for directions which caused a daily disruption. Our team worked with them to design a sign system for their location. It started with a consultation and site analysis to determine what signage was needed. Then, we talked about the look of the directional signs. 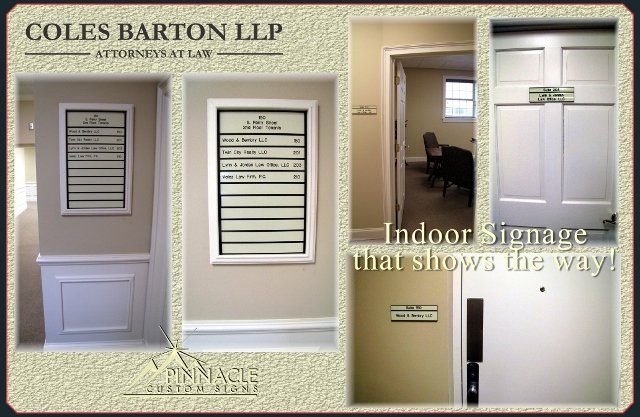 The signs did not need to be branded for their law firm but needed a simple style that fits well with the building. They decided on an engraved style that used colors that complemented the building. This solution helped to direct visitors to the back of the building where stairs or an elevator could take them to the second floor and the law offices that they were looking for. Wood & Bembry LLC is a father-daughter law firm that focuses on business law, specifically the formation and organization of businesses and the issues that they may face. The Law Office of J. Michael Levengood, LLC focuses on litigation matters involving businesses and individuals. Everette Law Firm, LLC is a trail law firm focusing on personal injury law, criminal defense, insurance issues, and some family law. Looking for a sign company close to Coles Barton LLP? We’re not far away!